Last summer, I made it my mission to become more organized. 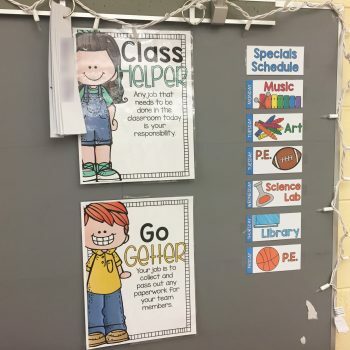 Even though I’m approaching almost a decade of teaching (wow, that sounds weird), I’m still trying to master the art of classroom organization. The first step is admitting that you have a problem. Hi, my name is Jasmine and I have trouble organizing things. I really have trouble with the placement of papers. 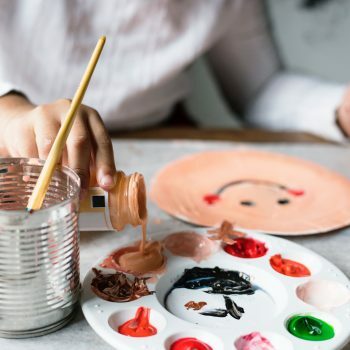 I bought tubs, drawers, bins, and more to organize manipulatives, school supplies, and things like that, but I know that my problem is how to handle the papers that come in and out of the classroom. 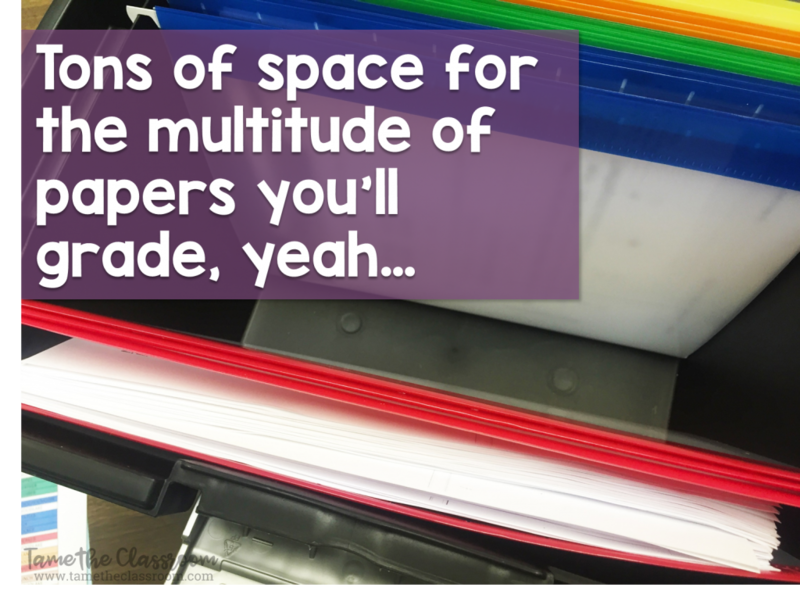 I exacerbated this issue when I got rid of my teacher desk aka “the storage desk.” Now I really have no place to put my papers! So, now in my classroom, I have a few desk organizers with labels for what goes where. 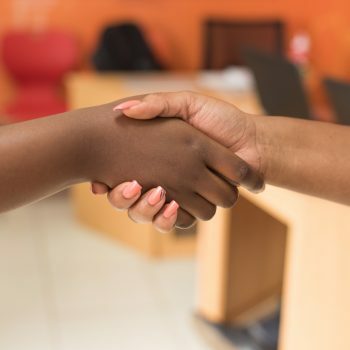 For example, I have a 3-tiered desk organizer for papers that need to be copied, papers that need to be turned in to the office, and papers that need to be filed. This helped me a lot last year. As I thought of other ways to organize the papers in the classroom, I remembered that I needed a better system for storing graded papers. The past few years, I put my graded papers in an expandable folder and brought it home on the weekends. It worked, but I had so many papers that they would often fall out. 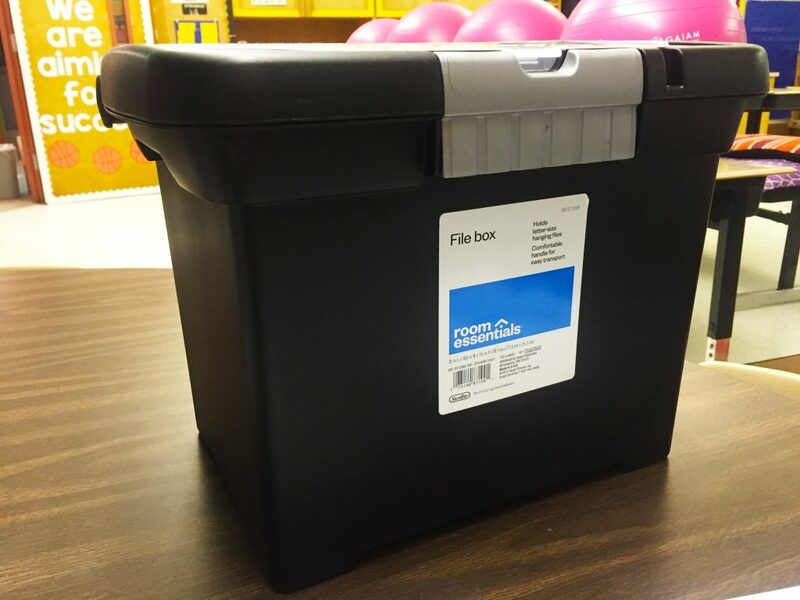 So, during one of my trips to the teacher supply headquarters…Target, baby…I found a file box. I knew that I needed a way to keep my graded papers organized and this was the perfect fit. 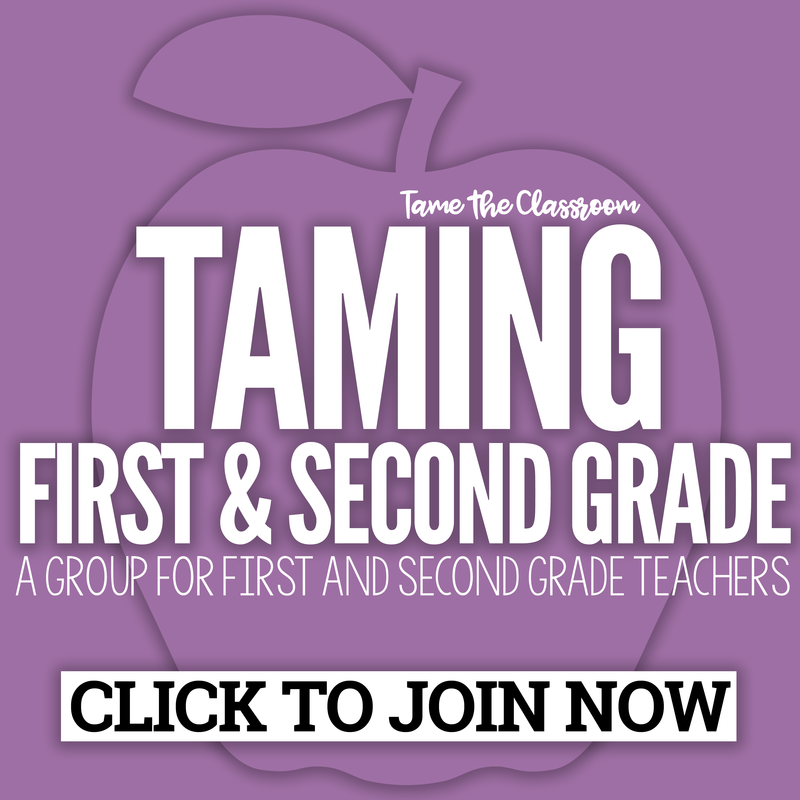 Finally, after almost 10 years of teaching I was starting to get organized. Don’t judge me. Don’t you dare judge me, teacher friends. Just clap in circle because I finally got it. Here’s how my file box helps me tame my graded papers. 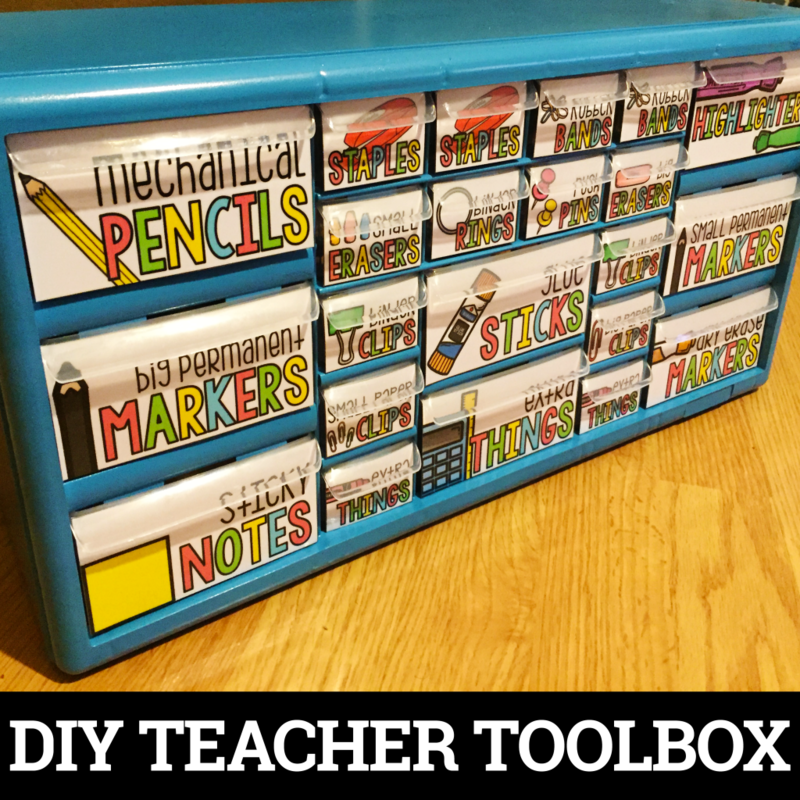 This isn’t an Earth-shattering, mind-blowing find, but if you are a first-year teacher or a teacher who needs a little help getting organized, this might help you a bit. I found this file box at Target, but there is an identical one on Amazon. I also purchased hanging file folders from Target. Again, you can find them at Amazon too. 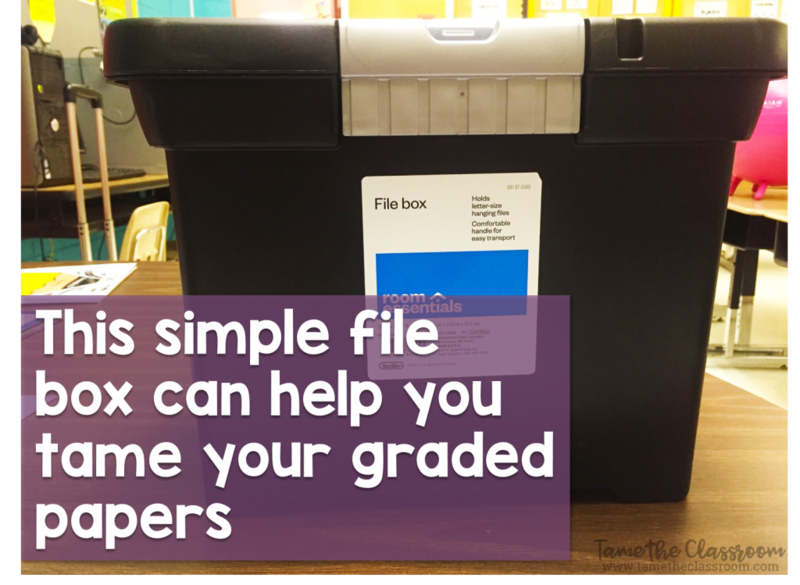 I keep my file box in my classroom and place papers in that need to be graded throughout the week. After my students take a test or complete a graded assignment, I place the papers that need to be graded in the hanging file folders. Each color corresponds with a different subject area. 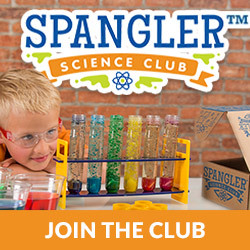 Red is for Reading, blue is for Math, green is for Language, Spelling, and Writing, and Yellow is for Science and Social Studies . My file box goes home with me on Fridays, I grade the papers over the weekend, and then I bring the papers back to school. All of my papers are neat and in order for me to pass out on Tuesdays, which is our “Graded Papers Day”. And all the students clap in unison because their teacher is so organized. 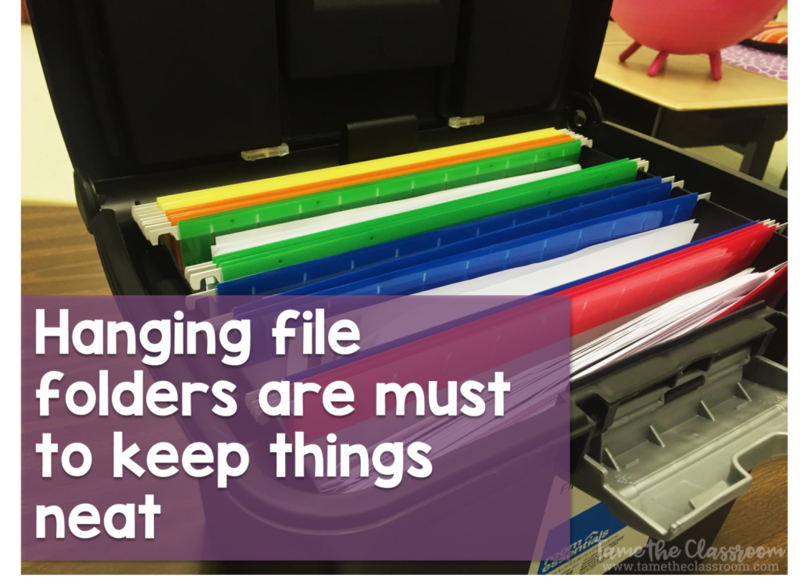 Some other ways to use this file box is to have a hanging file folder for each student, and let them place their papers in after they finish testing. 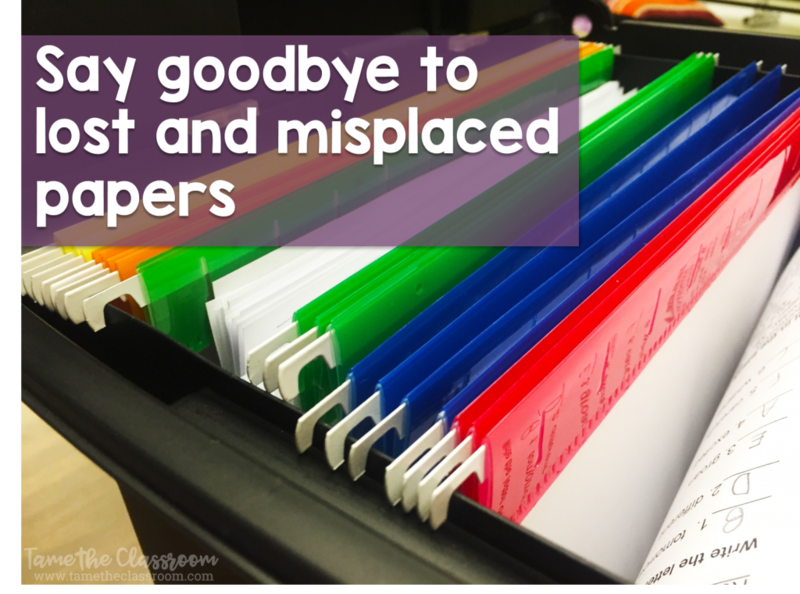 You grade them and place them back in their assigned file folder. Then they can come and grab their papers out. 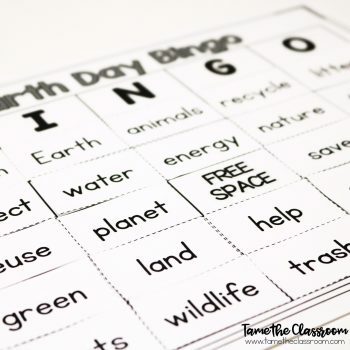 This would work well for older students who can handle the responsibility. As helpful as this file box is for keeping my graded papers organized, I have added yet another thing to carry to and from work. Every Friday, I escape leave school with my teacher bag, my file box, my purse, and my lunch bag. I only have to carry my file box with all of those items on Fridays and Tuesdays, but that would be the one disadvantage of using this system. I’ll have to rock with this until I can afford to pay someone to grade papers for me. I hope this was a nice tip for you! 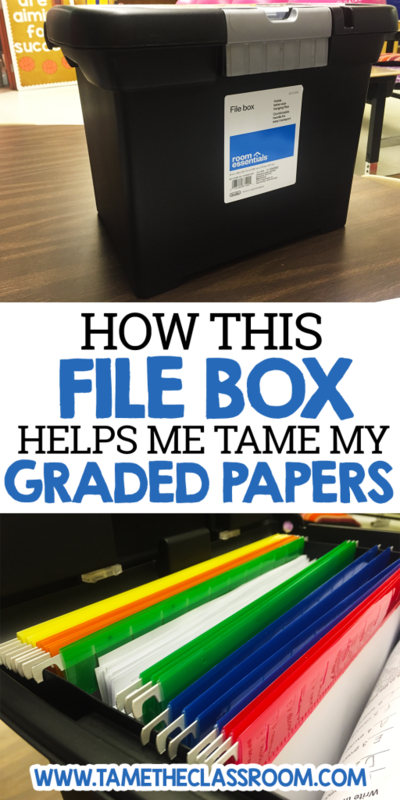 Share in the comments below how you keep your graded papers organized.